Thank you to everyone who came out to see Mission Solar’s Director of Operations, Sam Martens, presenton solar manufacturing in Texas at our August Happy Hour. We packed the room in Scholz Beer Garten for this engaging presentation on the ins and outs of why Mission Solar moved to San Antonio in 2014 and the challenges and opportunities of assembling modules in Texas. As many of you request, here are the presentation slides. Please feel free to contact us at info@solaraustin.org for any questions, comments, or ideas. This month, Sam Martens, Director of Commercial Operations at Mission Solar will share the story of how the company ended up in San Antonio and will discuss related industry dynamics. As one of only a few solar manufacturers in Central Texas, Mission Solar began with providing modules to San Antonio’s municipal electric utility, CPS Energy. Mr. Martens will walk us through Mission’s expansion into commercial and residential markets, future growth possibilities, and how the solar manufacturing industry continues to evolve, including industry challenges and strengths. WHEN: Tuesday, August 28, 5:30-8:00 p.m.
Sam Martens has been with Mission Solar since 2013. He serves as Mission Solar Energy’s Commercial Operation Director. He previously worked as an equity analyst at Macquarie Group, the Royal Bank of Scotland and most recently CIMB Band, Malaysia, responsible for the Asian semiconductor and solar sectors. Earlier in his career, he worked in information technology (IT) policy research at a Korean government think tank. He has his bachelor’s in arts degree in international studies, focusing on economics and international studies, from Korea University. He is fluent in English and Korean. We hope you will join us on the fourth Tuesday of August for this interesting discussion on solar manufacturing in Central Texas. We are excited to announce our July Happy Hour speaker: Paul Watson, Director of Dividend Finance. Mr. Watson will guide us through the ins and outs of solar financing and answer your questions. Although solar panel costs have come down dramatically, the upfront costs of the technology sometimes necessitate financing for homeowners and businesses. Mr. Watson will walk us through the market outlook for solar loans and lending. It is important to understand the context of financing from the role the Fed, capital markets, solar loans, and green bonds play, to where financial technology (fintech) platforms come in for solar growth. The differences between various lenders and the practices they use can meet some person’s or company’s needs but not others’. Lastly, Mr. Watson will tie all of this together and explain the implications for solar financing in Central Texas. WHEN: Tuesday, July 24, 5:30-8:00 p.m.
Mr. Watson was born with a passion for the environment and nature, and since he was a kid, he wanted to be a Game Warden. However, life happened and he has spent most of the past 15 years in corporate finance, business development and private equity with a primary focus on technology commercialization and growth management. In addition to his role at Dividend Finance, he spent seven years working in M&A, due diligence, market research and operational strategy in countries including China, India and Mexico. 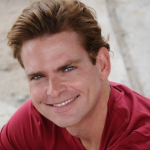 Mr. Watson is also a Partner at Climate Impact Capital, a Director of Hermes Investment Group, a Kiva Zip trustee, and a SURE Program advisory board member. He holds a BBA in Finance, minor in Spanish, speaks Mandarin Chinese, and is a native Texan. We hope you will join us for this interesting opportunity to gain more insight into how to actually pay for solar panels to power your home or business! 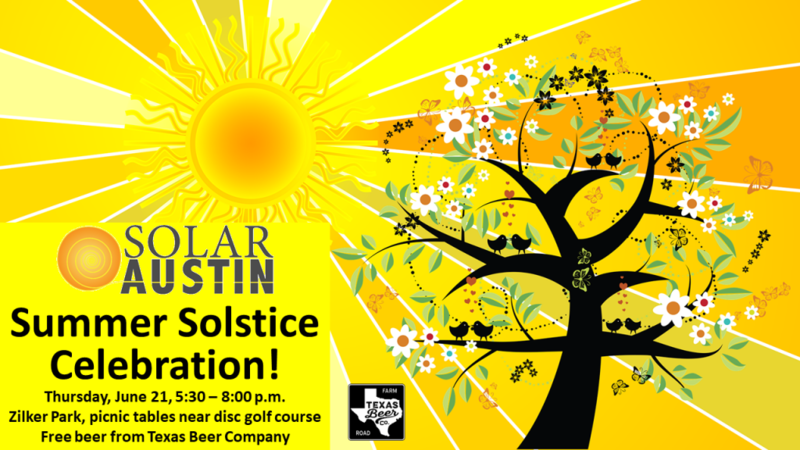 We’re excited to invite you to Solar Austin’s first annual Summer Solstice Celebration! Please join us to celebrate our precious solar resources and community advocacy for renewable energy on the longest day of the year. We’re passionate about solar policy and technology, but we also like to have fun. Join us at the Zilker Park picnic tables near the disc golf course to celebrate and unwind! We will have delicious homemade BBQ (including vegan options), watermelon, a keg of donated beer from the Texas Beer Company, non-alcoholic drinks, an open mic, and solar car racing for the kids (and fun-loving adults). When: Thursday, June 21st, 5:30-8 p.m.
RSVP now to join the Celebration! Come have fun, eat, and drink, while getting to know other members of our community of advocates right here in Austin. We look forward to celebrating the solstice—and community—with you on June 21st! P.S. We won’t have our regular happy hour event in June. We are excited to announce that Ron Van Dell, President of Longbow Innovations, will speak at our May Happy Hour. The recent exciting successes of solar and renewable energy technology could not have happened without extensive research and development leading to technological innovations. Mr. Van Dell will explore two recent examples of businesses successfully leading innovations. SolarBridge Technologies developed an integrated micro-inverter solution, which is now forming the core of SunPower’s Equinox AC Module for residential rooftops. And ViZn Energy Systems, whose story is still unfolding, is developing superior flow-battery alternatives to Li-Ion for grid-scale energy storage. Each companies’ story reveals start-up cases with hard-won lessons when it comes to technology and business model differentiation and competing against well-established businesses. Tuesday, May 22nd, 5:30-8:00 p.m.
With more than 35 years of experience, Ron Van Dell has an exceptional track record of success and proven leadership skills in early-stage, turn-around, and established businesses. 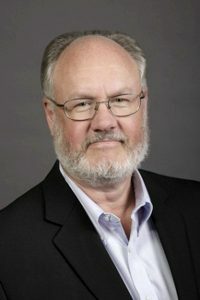 His background covers a broad range of industries in semiconductors and electronics—power, communications, computing, industrial control, electrical distribution, and clean tech. As President and CEO of ViZn Energy Systems, he transformed the company from a development team to a complete business recognized as a global leader in grid-scale energy storage. 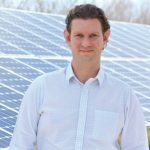 As President and CEO of SolarBridge Technologies, now part of Sunpower, Van Dell led the development and launch of a ground-breaking microinverter solution for AC Solar Modules, while raising four rounds of funding. Before SolarBridge, Van Dell served as President and CEO at Primarion (sold to Infineon), President and CEO at Legerity (spin off of Communication Division of AMD), General Manager for Dell Computer’s Dimension Line of Business ($6B in sales), and VP-GM of the Communication Products Business at Harris Semiconductor (now Intersil Corporation). He also held previous international management positions in the U.S. and in Europe at Groupe Schneider, Square D Company, and General Electric. We hope you will join us Tuesday, May 22nd for this exciting conversation with a true business and technology trailblazer!